Rules are made for breaking, sometimes. For a change I thought I would open up a post dedicated to the evil silver disk, the only way to enjoy some of the greatest jazz ever recorded, that would otherwise fall between the cracks of legal distribution. There are some records which are simply unobtainable and unaffordable on vinyl. The Mclean on Ad Lib costs around $5,000 if you ever see it. Even the CD was rare, as were many of the selection below. For me, the vinyl experience remains the best. But if you can’t get it, is “nothing” better? I can recommend these CDs as all “better than nothing”. 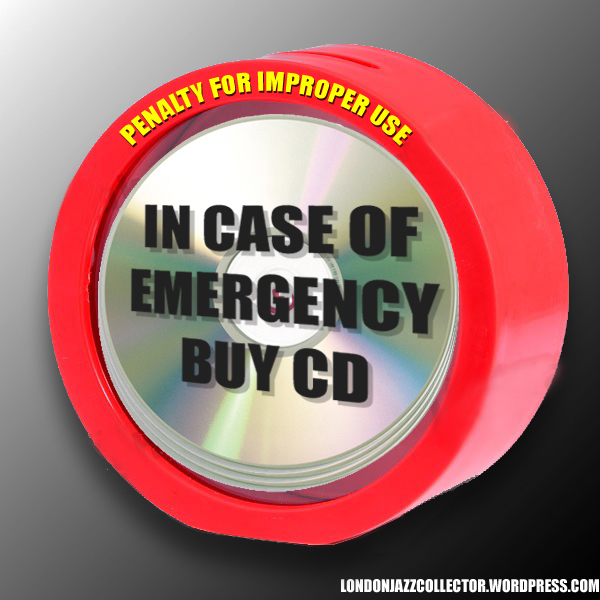 WARNING: This is not a change of LJC policy: CD permitted only where vinyl is not a viable option. Penalty for Improper Use. Walking to the turntable every twenty minutes prolongs active listening. Continuous exposure to reissues can damage your listening pleasure.. The iconic cover by Parboo Singh helps make this the second most expensive jazz vinyl record in the world, after Mobley 1568, at around $5,000. Even the CD is hard to find. Mclean’s debut record, not by any way his finest, but certainly the most rare. Imagine yourself holding that cover, full LP size, an experience perhaps only a few hundred people in the world have. Jackie McLean (as) Donald Byrd (t) Mal Waldron (p) Doug Watkins (b) Ron Tucker (b) recorded NYC 21st October 1955. I don’t think I have ever seen this on vinyl. If it does exist it must be mega-rare. Two giants of saxophone in absolutely top form, recorded 1988, effectively after the demise of vinyl and its replacement by the evil silver disc. That is Rouse (right) in an extremely ill-advised choice of hat with white slacks, while Sihab always cool, labouring under the weight of the baritone. Charlie Rouse (ts) Sahib Shihab (bars) Claudio Roditi (t, flh) Walter davis Jr (p) Santi Debriano (b) Victor Lewis (d) recorded 6 &7 July 1988 at Van Gelder Studios, Englewood Cliffs, N.J.
On original Bethlehem, impossible to find, around $1,000 if you do, very sought after, but unlike many rare records, superb music into the bargain. Paired here on CD with the alternative score to Music from The Connection, featuring Jackie McLean’s understudy at the time, Tina Brooks. Thankfully the CD is not rare, but the Felstead vinyl Connection is as rare as Dusty Blue. A must-have. Barney Willen’s 1957 debut album “Tilt”, on Disques Vogue. Impossible to find on vinyl, ev. $4000 if you ever saw it, and the Japanese vinyl reissue usually has to be sourced from Japan, and the CD came from Switzerland. Even the CD was nearly $45, it does not exist in any number. Wilen as a young French prodigy who climbed the stage with Miles Davis and Art Blakey whilst still in his teens, possessed of one of the most lyrical voices of the tenor, and largely unknown to the American-focused jazz audience. The legendary French singer Sacha Distel, as ace acoustic guitarist, meets MJQ in Europe, with Barney Wilen on tenor, and no singing. Introduced to me by an LJC contributor, which is just as well as I don’t think I would ever have given it a second glance. Sacha Distel? ‘E iz a , ‘ow you say, sing-ger, no? No idea if it is rare, but happy to find it. MJQ allergy sufferers note, contains no vibraphone. This entry was posted in Barney Wilen, CD, Charlie Rouse, Jackie McLean, Sahib Shihab and tagged Barney Wilen, CD, Charlie Rouse, Jackie McLean, Sahib Shihab by LondonJazzCollector. Bookmark the permalink. I much prefer vinyl. In fact, for a number of years, I refused to buy CDs. Then I encountered CDs that were the only format in which the music was issued. I then started buying CDs for convenience sake. I now own many hundreds of CDs, most purchased at discount. I tried to put in the link but was unsuccessful. I think I found the McLean record. I won’t buy it from the particular seller. It’s on “Josie Records.” The seller claims it’s a first pressing. A little homework wouldn’t have done the seller any harm. Thanks for that information. i should have done a little more homework also. But I wasn’t even considering a purchase after looking at seller’s feedback profile. Ah, a modest but ever so nice tribute to the CD. Indeed: in most cases it’s the only way to at least hear the music to be found on those highly collectible original vinyls and for me the CD initially was the only medium of choice. And I don’t mind the occasional bonus track by the way. And about the “Afternoon in Paris” reissue: did you all know that the true, original first pressing of that album was released in France on the Versailles label, sporting the lovely front cover without the horribly defacing red and blue stripes? Well, I didn’t. I finally read about it on Jazzcollector, where I learned that the Atlantic pressing is NOT the “o.g.” version. To read the original article and to see the original front cover without the stripes, one clicketh HERE! Thanks for the link. Reads ike another one that won’t be joinin my collection any time soon. However being in France right now there is a little record shop off the main street that might just … no, I am dreaming again. It has huge quantities of Sidney Bechet and Django Reinhart. Well, you never know, somewhere between those Bechet and Reinhart records there might be that one forgotten copy of “Afternoon in Paris” on the Versailles label. And with the plain black and white cover. Whoever decided to deface that lovely photo with the blue and red stripes for the Atlantic and all other subsequent releases should be ashamed of him/herself. Thanks for highlighting these recommendations, now added to my evil silver disc wish list on amazon. Evil as they are, there are a growing number of budget labels who are issuing out of copyright recordings ie Avid. I have tried a few where the cd is either ridicously expensive or just unobtainaible. Sound quality is variable since they don’t have any access to original masters. Digital has its place, but I’m not going to argue that anything will ever replace the sound quality of vinyl. We have the greedy record companies to thank for effectively killing off vinyl in the 80s by producing poor quality products. All I can remember is taking back endless copies that were so flimsy that they were warped beyond belief. I eventually started buying Japanese imports. It’s great to see so many of the independent record stores are now selling vinyl again. Ps if anyone feels that they can’t deal with the evil silver discs feel free to send them my way! I’ve owned various Japanese pressings of “Presenting…” and “An Afternoon In Paris” for many years now. Both are indisputable masterpieces of course. However, I’ve yet to hear a suitable pressing of “Presenting…”. Each time I hear it I daydream of how a decent vinyl pressing of it may fall on the ears. It would immediately become more engaging and transportive to a listener. P.S. Unclear as it is, I do mean to say the “pressings” I own are indeed that Evil Silver Disk [tm]. Confession is good for the soul, my son. Many of us have succumed to the lure of the Evil Silver Disk [tm], you are not alone. But the true path to salvation is Vinyl. It is not an easy road, sometimes fraught with danger and disappointment, but eBay loves you, and Vinyl Goodness (V.G.) Plus triumphs over all. Eric Dolphy’s The Illinois concert is wonderful not available on vinyl. I did suggest it to Music Matters. Some nice music there. LPs can sound better and are more fun and collectible for sure, but I still grab CDs when it’s good music for cheap. I stupidly sold quite a bit of my jazz CD collection over the 2000’s. It’s surprising how inexpensive some of the music has gotten, but it provides a reasonable way to enjoy it that beats out (for me) iTunes, Spotify, or a beat up LP.